Her work is wonderfully varied with many highlights including: hosting BBC’s ‘Record Breakers,’ singing for NATO Ambassadors in Brussels, performing at the G8 Summit at Edinburgh Castle, hosting ‘Tartan TV’ for PBS in the States, in which she interviewed actors such as Sir Sean Connery and Ewan MacGregor, and ‘Highland Heartbeat’ a PBS television special featuring Scotland’s magnificent music, landscape and heritage. Her several albums have received critical acclaim, and she has sung for Her Majesty The Queen and members of the Royal Family on a number of occasions. Her popular stage performances include the productions ‘Alfie’ in London’s West End, ‘Jacques Brel is Alive and Well and Living in Paris’ and ‘Ane Satire of the Thrie Estaites’ at The Edinburgh Festival. 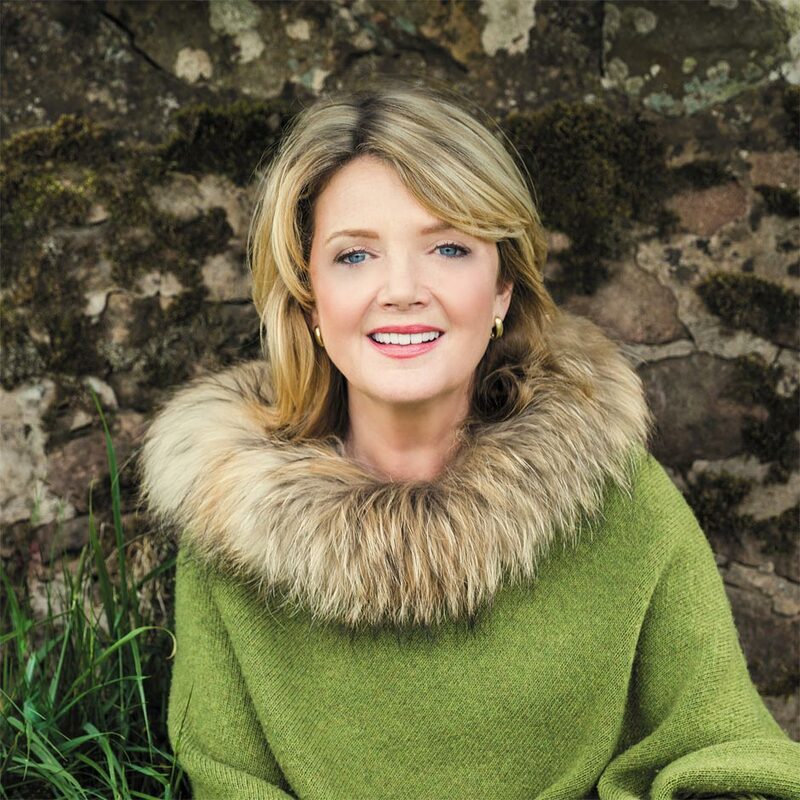 She has narrated ‘Peter and the Wolf ‘and ‘The Snowman’ with the Royal Scottish National Orchestra and has performed at Celtic Connections and on Transatlantic Sessions. A visit to Ellis Island inspired her own production ‘ The Kist’, which is performed regularly and was a hit at Edinburgh’s Fringe Festival. In 2014, she was awarded an OBE in the New Years Honours List for her work in music as well as numerous charities, including: Voluntary Service Aberdeen, of which she is Honorary President; FROM Scotland (Famine Relief for Orphans in Malawi); the North East of Scotland Music School; Jazz Art UK; The Pitlochry Festival Theatre, and The Speakeasy Club for stroke victims. In addition, she is a Trustee of the University of Aberdeen’s Development Trust and an Ambassador of London Scottish Rugby Club. Fiona is an Honorary Graduate of the University of Aberdeen, Doctor of Laws, Deputy Lord Lieutenant of Aberdeenshire and is a Burgess of the City of Aberdeen. She was educated at Westbourne School for Girls in Glasgow and Albyn School for Girls in Aberdeen. Fiona and her husband, Francis Clark, a Managing Director in the fishing industry as well as a fine golfer, live in Aberdeenshire. They have 3 grown up children: Hannah, who with her husband Eric Heerema produces the award-winning Nyetimber English sparkling wine; Francis, who also works in the fishing industry and actress Sophie Kennedy Clark.